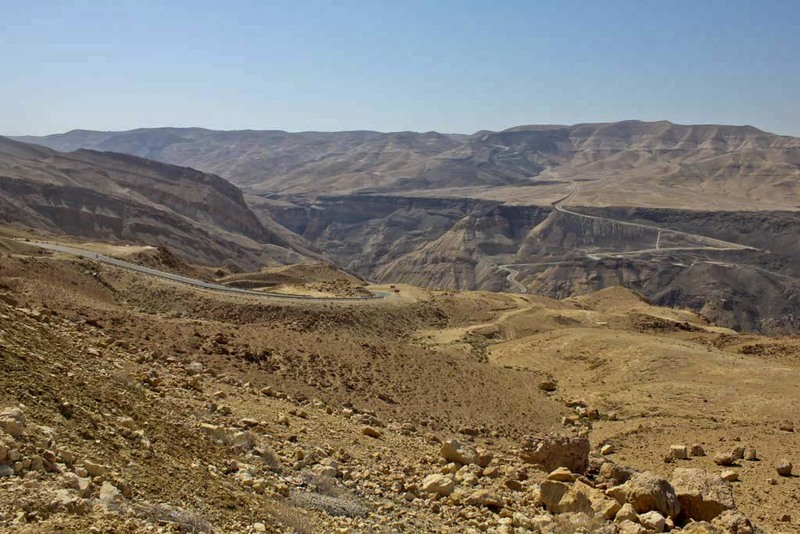 The Kings’ Highway in Jordan is the world’s oldest continuously used communication route. 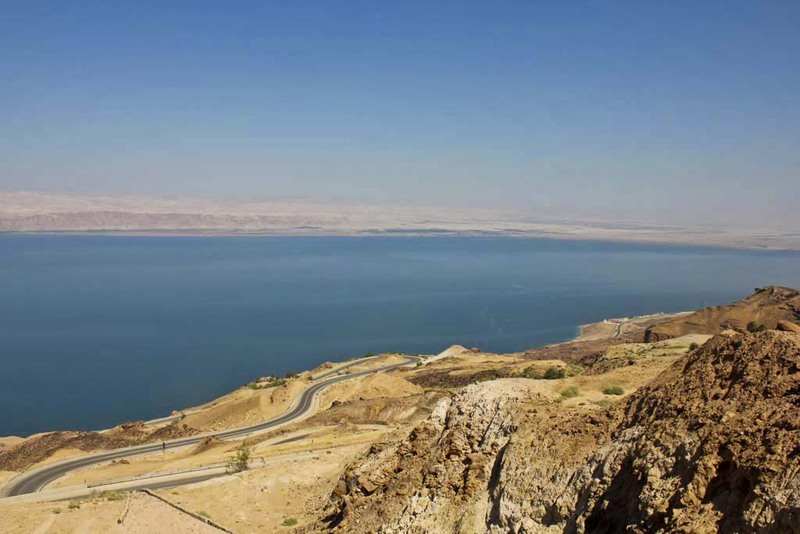 It used to link ancient Bashan, Gilad, and Ammon in the north with Moab, Edom, Paran, and Midian in the south. 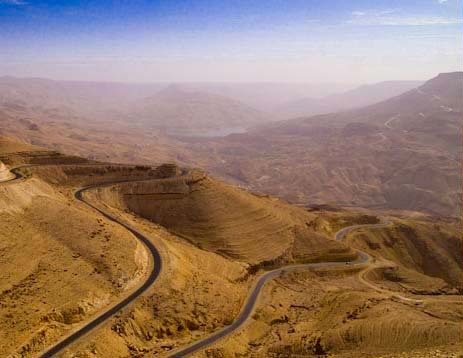 This scenic route winds, drops, twists, and meanders through the heart of the Jordanian highlands, passing through the country’s most spectacular landscapes and some of its most important ancient sites. But words can’t do it it justice. I wish that I could have truly captured its beauty, ingraining it in my brain to share with my family and future generations. Its beauty is beyond words. Rather than resting during our travel, I couldn’t take my eyes off of the highway. It rivals Route 1 in California as my favorite highway yet. I wasn’t in a hurry to get somewhere; I felt like I’d already arrived. Travel isn’t a destination, it’s the journey! This entry was posted in Jordan, Travel and tagged bucket list, Bucket List Publications, bucketlist, Jordan, Kings' Highway, Lesley Carter, MyJordanJourney, photo, photography, travel, Travel Photography, VisitJordan by lesleycarter. Bookmark the permalink. Beautiful! Thanks for sharing your journey…and yes,life is all about the journey! Beautiful photos! So glad you enjoyed your trip! Thanks for journaling about your journey. Always finding new perspectives! I’d love to go here someday. Looks absolutely stunning. Breathtaking! Great shots, thank you for sharing! That is just gorgeous! Breath taking view! 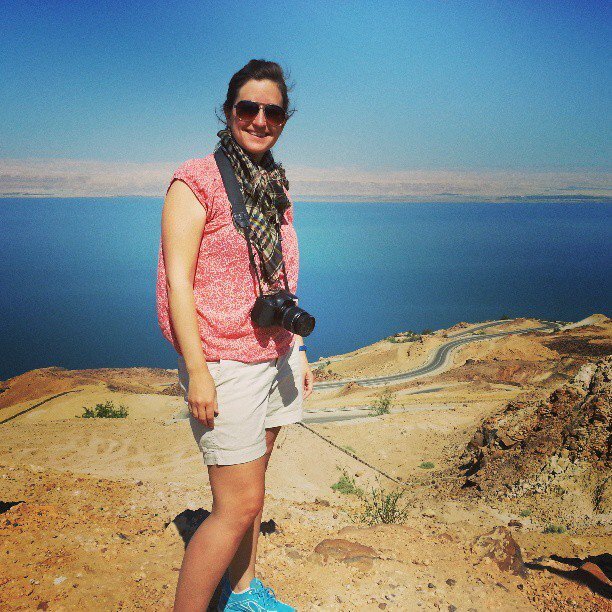 When I was in Israel last year the terrain really reminded me of the Central Valley of California and the foothills of the Sierra’s. I am sure that Jordan would be the same for me. This looks pretty much exactly like the road on the opposite shore, in Israel. It was stunning! Haunting… as it still comes to my thoughts on a regular basis. So magnificent! Jordan is on my “bucket list”. My aunt dined with the royal family and still raves about the beauty of the country. P.S. – We must get together soon. How does your June look? We are in Italy the remainder of May. I’m in Aruba for the first week but free after that 🙂 Shoot me an email and we’ll meet up. Stunning! Thanks for sharing it. It’s humbling to see such grandeur, isn’t it? Highway 1 along our breathtaking Pacific Coast here in Big Sur will always get my vote, but the King’s Highway is exotic beyond compare. When one ponders the history and the impact upon civilizations and empires, there is no end to the sense of astonishment. I’m thrilled vicariously for your journey, Lesley! Would love to see this one day. I also love rt 1 in CA–nice comparison for those of us who haven’t made it over to Jordan, thank you! How long is that road? And I couldn’t stop thinking how much walking would I have to do if my car broke down. Ha, ha. Sounds like you had a great time. 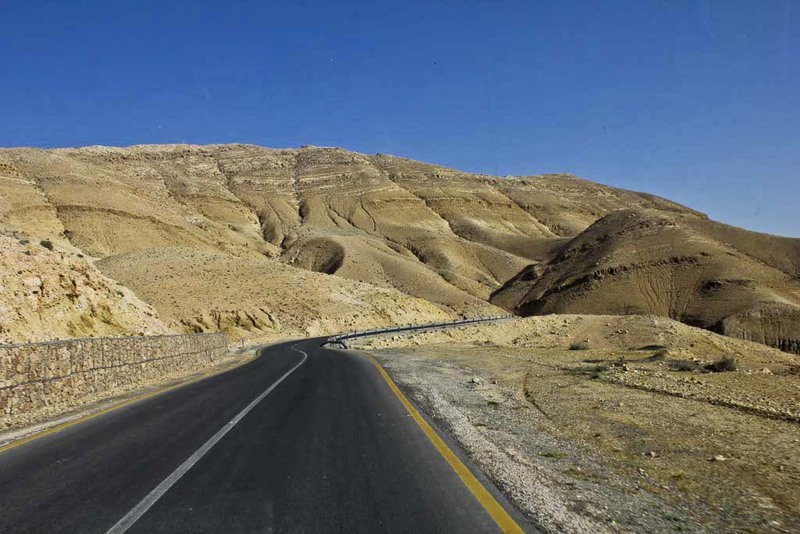 Beautiful photos of the The Kings’ Highway in Jordan! Wow, thank you for sharing! I have always wanted to go and you have just given me more inspiration to do so! I want to drive down this road playing “Istanbul”, “Caravanserai”, and “Nightride Through the Caucasus” by Loreena McKennitt. I must do this before I die. I am loving these Jordan posts. Looks like another addition to my bucket list! Is it expensive? Hard to get to? Wow, looks amazing! I’ve always wanted to visit Jordan! The colour of the sand and the raw landscape makes me feel the size of an ant. Awesome pictures. Glad you were able to take your time this time. Lovely pictures! That seems like one mesmerizing drive. Except for the water part, the landscape looks eerily similar to Death Valley in CA! What a journey that is! Aah – someday. Israel and Egypt are on my list. Would love to see the pyramids and the Black Sea and the wailing wall and…well, you get the picture. And I love yours. They are awesome. So enjoying travelling with you. Great blog as usual.